A husband and wife enslave a homeless couple, routinely subjecting them to beatings and verbal abuse. They take their newborn baby and claim him as their own. The woman manages to leave after four years, abandoning her son, but her former partner remains captive for more than two decades, sleeping in a dirty basement, eating dog food, his teeth rotting. These are just some of the allegations made over the last several weeks in an extraordinary trial playing out in a downtown Toronto courtroom. The sordid tale began in the late 1980s, after the couple found a man scrounging for food in a dumpster. They befriended him and his common-law wife, helping them find a home. That friendship, the prosecution alleges, turned to something much darker as the husband and his wife took advantage of the vulnerable couple, stealing their government disability cheques. They then allegedly took the couple’s first-born son, lying on hospital records so he would appear to be theirs. For more than two decades, the boy’s biological dad lived in the basement like a prisoner, where he was often beaten, sometimes so badly he recalls filling the toilet bowl with blood that poured from his nose, according to his testimony in court. “They threatened me to be there,” the man told court. He finally did leave, though, in 2012, when he was told to get into a waiting car and convinced to leave by the boy who at the time knew him as Tim, the man who lived in his basement. It was not until a recent paternity test that the boy, now 28 years old, learned there is a 90-per-cent chance that Tim is his biological father. The alleged captors, Gary Willett Sr. and his wife, Maria, are facing multiple charges. Willett Sr. is charged with forcible confinement and assault of the man to whom he allegedly didn’t provide the necessaries of life for nearly 25 years, as well as theft over $5,000 and abduction of a child under the age of 14. Willett Sr.’s case is ongoing. He pleaded not guilty to all the charges he is facing and lawyers for the prosecution and defence will be submitting their closing statements in the coming weeks. She is not being tried alongside her husband. According to her lawyer, Daniel Kayfetz, she is currently being examined by a court-appointed specialist to determine if she is medically fit to stand trial. “Anything that’s said about her has not been tested by cross-examination or by presentation of defence evidence,” Kayfetz said when reached by the Star. Testifying in court earlier this month, Willett Sr. said he could not control the once-homeless man he had only ever tried to help. That man, he said, was an independent adult who made his own decisions and willingly gave up his son. While defending his client, Willett Sr.’s lawyer, Sam Goldstein, gave examples of his client taking the children to specialist appointments and providing them with healthy meals. The allegations, Goldstein argued, are retaliation from the children for perceived childhood wrongs. The story came to a dramatic climax just three years ago, when a 24-year-old woman got a 4 a.m. phone call. The Star has reviewed weeks of court testimony in the trial of Gary Willett Sr. and the following chronology is based on witness accounts as well as evidence filed with the courts and additional interviews with six family members. The name of the man the Willetts allegedly abused for years is Tim Goldrick. The name of the woman, his ex-partner, is Barbara Bennett. Both are now 56. They both have unspecified intellectual disabilities. Bennett told the Star she is a “slow learner” and was in a special education program as a child. Goldrick agreed on the stand that he’s had “intellectual issues” in his life. Both testified at the trial. The Willetts’ alleged crimes against Goldrick and Bennett began in the late ’80s and migrated from basement apartments in downtown Toronto and East York, to a delivery room at Toronto East General Hospital, to crowded homes in Etobicoke. The first time Goldrick met the Willetts, he was searching in the garbage for food behind their apartment building in downtown Toronto, where Willett Sr. worked as a superintendent. The Willetts offered him and Bennett food, he said. Then, a place to stay. At the time, Goldrick and Bennett were romantic partners and homeless. The couple, who both grew up in Oakville, received monthly cheques from Ontario’s Disability Support Program. The Willetts had been married for about one year. 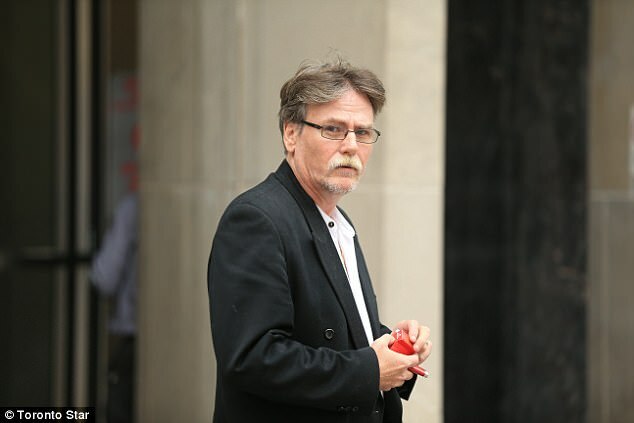 Willett Sr., now 50, told court he was held back in school because of reading and spelling difficulties and dropped out in Grade 8. He met his wife, Maria, who has a Grade 3 education, when he was 16. She is 11 years his senior and already had two children from previous relationships. The Willetts, too, received monthly disability cheques, Willett Sr. testified. The Willetts found Goldrick and Bennett a basement apartment in their building, Goldrick said on the stand. Testifying in his defence, Willett Sr. said he helped Bennett and Goldrick in those early months of their relationship. Goldrick continued to pick through dumpsters, and his clothes would “really smell bad.” They were threatened by their landlord with eviction. When he and Maria moved to a building in the city’s east end, Willett Sr. said he found a unit there for the couple. That year, Bennett got pregnant with Goldrick’s baby. And on Sept. 2, 1989, she went to Toronto East General Hospital to deliver. There, Maria Willett filled out all the relevant paperwork. She gave her own health card to Bennett and told her to use it, according to Bennett’s testimony. Willett Sr. testified that his wife was never at the hospital. The baby’s birth certificate lists Gary Willett Sr. and Maria Willett as his parents. The couple named him Gary Willett Jr. — and today he is known as Junior. Bennett told the prosecutor in the case that she felt “not very good” about using Maria Willett’s health card but that she didn’t tell the Willetts that. At one point during her testimony, her voice barely audible at points, Bennett suggested that going home with her baby while Maria took over as his parent wasn’t a terrible arrangement. “We were all living together . . . It’s not like I was away at a totally different address that they’d be going to. I’d still be there,” she said. Willett Sr. testified Goldrick and Bennett came up to his apartment and asked him and his wife to take the baby. The Willetts were familiar with how adoption worked — they’d adopted two other children around the same time. But when it came to Willett Jr. they presented the child as theirs. “I said, OK, this does not make sense. Because where is Barb’s baby? Where is Barb’s baby? She was the one pregnant,” she remembers saying. But she didn’t press the issue, worried that it would be rude to ask. Shortly after Gary Willett Jr.’s birth, the Willetts moved twice with Goldrick and Bennett to two different houses in North York. According to the prosecution’s opening statement, some physical abuse began prior to moving into the second North York home. But the brunt of the emotional, physical and verbal abuse began there. During her time on the stand, Bennett recalled being slapped and hit, particularly if she didn’t clean the house properly or if the kids made a mess. Maria Willett’s sister-in-law said Bennett was treated like “a slave.” Willett Jr. later added that Goldrick was treated like a “slave-type maid” during his many years with the family. Bennett became pregnant again in 1993. 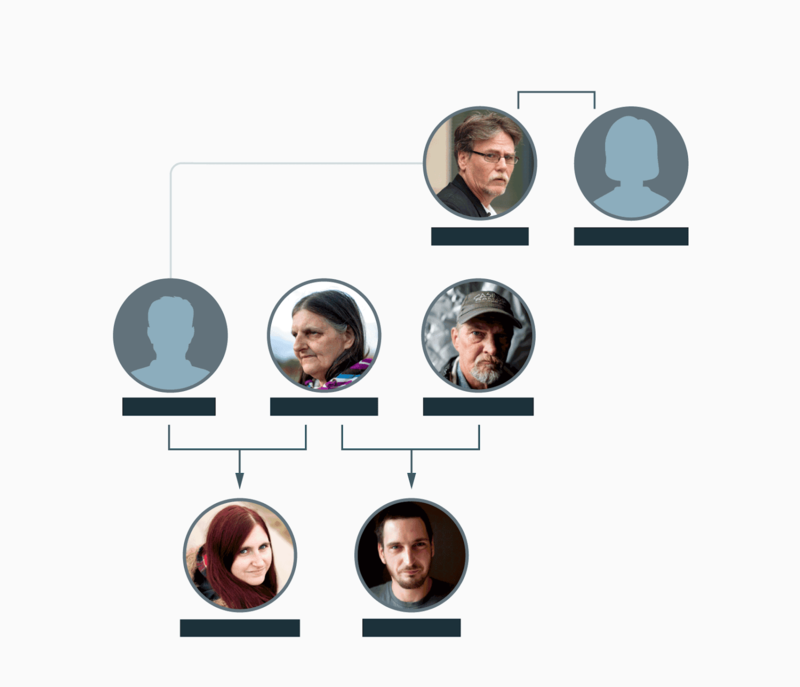 This time, a brother of Willett Sr.’s was the father, according to a family tree filed as an exhibit in court. She gave birth to a baby girl. The baby girl was named Billie-Jean and she kept her as her own. When Billie-Jean was only a few months old, Bennett decided she had to leave the house. When asked by the prosecution why she left, Bennett said it was because she was getting hit all the time and that the Willetts were smoking hash. “(Billie-Jean) was a baby and I didn’t want her around it,” she said, adding that she was able to leave the situation with the help of her own mother. Bennett left with Billie-Jean, leaving Willett Jr., her toddler son, behind. She would not see or speak to him again for more than 20 years. Until they met again in the parking lot of a Toronto police station. Following the departure of Bennett and Billie-Jean, the Willetts moved again, to a bungalow in Etobicoke. At this house, Gary Willett Sr. put up seven cameras outside and inside. One captured the fridge. During the trial, Willett Sr. admitted that he would watch the camera footage from a basement office. The prosecutor in the case said Goldrick was allowed to leave the home only to complete tasks like buying groceries or shovelling the snow in the winter. He had to give them all of the roughly $900 he received a month. Sometimes he was kicked, hit and punched in the ribs, chest and head for reasons he did not understand. “Sometimes, while I was sleeping, Gary (Sr.) would come in and hit me for no reason, and I’d wake up and I wondered why he did this. But I never found out why,” Goldrick said on the stand, adding that he would also be beaten for taking food without permission. He testified that he wasn’t allowed to go into the fridge to get food, and ate dog food “quite a few times” because of it. When he was living with the Willetts, he said, he weighed 106 pounds. He currently weighs 230 pounds. He is six foot two. When the beatings happened, they could last up to 10 minutes, said Goldrick, recalling being hunched over a toilet while it filled with blood that poured from his nose. Gary Willett Jr. recalled an incident growing up when he saw Goldrick coughing up blood but Goldrick told him not to tell anyone. Willett Jr. also testified that Willett Sr. hit him. During his testimony, Willett Sr. again said the facts were more complicated. He testified that he used Goldrick’s disability cheque to pay rent and provide food. And that he left Goldrick with some extra money. He said that when Goldrick ate dog food he told him it was “unhealthy” and added “he was a grown adult.” He admitted to calling him “stupid,” “dumb” and “retard,” but said that Goldrick would curse back. He said he never hit or confined him. After Goldrick left the home in 2012, he went to the dentist. He was missing teeth in his top and bottom arches, with others broken, riddled with cavities and infections. He had severe bone loss, exposing more than 50 per cent of his teeth’s roots, according to the dentist’s testimony. On the stand, Gary Jr. also recounted his own memories for those years. The many hurdles and challenges that he faced growing up were also addressed in court. He saw multiple doctors, who prescribed him Ritalin and other drugs. He attended a centre for behavioural issues and was assessed by the Toronto District School Board for whether he should be placed in special education programs. Gary Jr. was suspended multiple times and attended substance abuse counselling. He did not graduate from high school. For a few years after leaving school, Willett Jr. lived away from the Willett home, mostly in Sudbury. When he came back in 2012, he lasted only a few weeks. There was a fight and he left for good, he said. After that, he began to reach out to family members, who told him they suspected that Goldrick could be his father. “(The Willetts) denied it, and handed me a baby book, and said I was theirs,” Willett Jr. said on the stand. Over the course of the next year, Gary Jr. grappled with the possibility that his life was a lie. Then one day, while driving with a childhood friend, he spotted Goldrick walking on the sidewalk. Aware of the horrible conditions that Goldrick was returning to, they stopped the car. “And we said, ‘Listen, Tim, if you want out and you want a better life, then you come with us now,’” Willett Jr. said on the stand. Goldrick was scared. He started shaking. He didn’t know what to do. “I just told him, ‘Tim, this is the time,’” the friend testified. It was 4 in the morning on a Wednesday in 2014 when Billie-Jean Bennett heard the phone ring. A man on the other end of the line introduced himself as one of Maria Willett’s biological sons. He told her about the brother she never knew existed. Billie-Jean recounted the moment to the Star in an interview. It had been two years since Goldrick left the Willetts and in that time Maria’s son had pieced together what happened. He wanted Billie-Jean’s mother, Barbara Bennett, after more than two decades, to come forward with what happened. Billie-Jean was shocked. She knew nothing about what her mother went through. She didn’t know who her biological father was, let alone that she had a big brother. “When I first heard it at four in the morning, I didn’t quite believe it. I had to hear it out of my mom’s mouth,” she said. Billie-Jean, now 24, has a strong bond with her mother. She spoke about her kindness, her devotion and her famous chicken melts — made with English muffins, chicken, peas and tomatoes. “My mom was always there for me,” she said. Mere weeks after receiving the early-morning phone call, Billie-Jean graduated from college. Around that time she and her mother met Gary Willett Jr. in a Toronto police parking lot, after more than two decades apart. Barbara Bennett was there to give a statement to police. The revelations have been shocking for Billie-Jean, but she says ultimately she is glad she knows the truth. As for Willett Jr., the news has been devastating. “This has wrecked my life,” he said in an interview with the Star, adding Willett Sr. was never a father figure and Maria was never a loving mother. “They said ‘I love you’ every night, but if you hit me, if you continuously slap me, I don’t believe it,” Willett Jr. said. Willett Sr. denied hitting the children. Today, Gary Jr. lives with Goldrick, his biological dad, in an Etobicoke apartment. Weightlifting equipment sits in the dining room and a corn snake was curled up in a tank in the living room near a leather sectional. He works in demolition. Despite the DNA test on Goldrick, Willett Jr. says he hasn’t come to terms with his parentage. He no longer speaks to his biological mother, Bennett, he said, because he wants answers and she isn’t giving them. Goldrick, meanwhile, says he’s happy to have clean clothes and a few nice possessions, such as his stereo and a red mountain bike. But a quarter-century of alleged abuse has taken its toll. “I take pills for the shakes and nighttime pills for sleep,” Goldrick said.